Although Guinea-Bissau has seen progress over recent years, thousands of children still face a life in crippling poverty. Child trafficking and the commercial sexual exploitation of minors still affect the lives of many. SOS Children's Villages and local authorities closely cooperate in order to support and protect the country's most vulnerable segment of population. At present there are three SOS Children's Villages in Guinea-Bissau, one SOS Youth Facility, three SOS Kindergartens, four SOS Hermann Gmeiner Schools and two SOS Social Centres. Guinea-Bissau won independence from Portugal in 1974 after a long and intense struggle. SOS relies on the kindness and generosity of Canadians to be able to provide a home for the most vulnerable children of Guinea-Bissau. 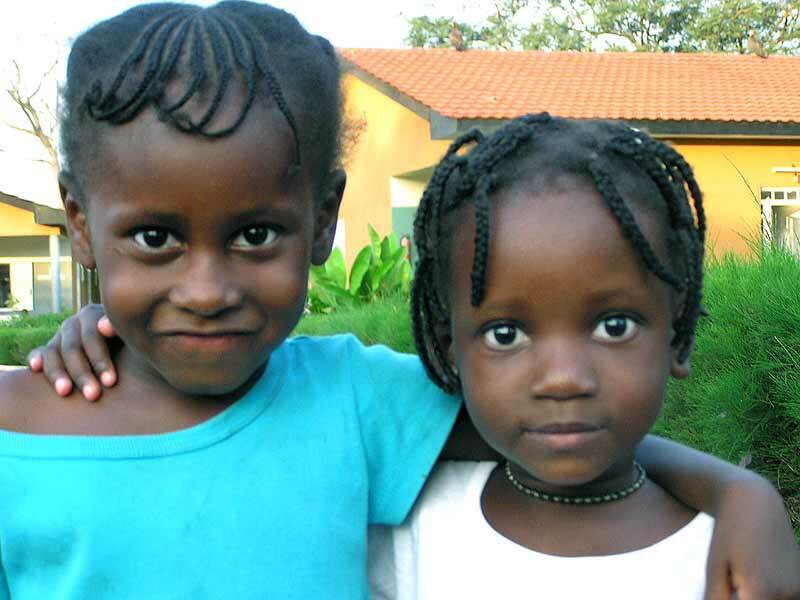 Please help us ensure a loving home for every child in Guinea-Bissau. Sponsor a child in Guinea-Bissau now. A military coup in 1980 brought army chief Joao Bernardo Vieira to power. His government was accused of serious human rights violations. In 1998, an attempted coup d'état against his government led to the Guinea-Bissau civil war. Vieira was finally ousted in 1999 as a result of military mutiny. However, he managed to be re-elected in 2005, promising substantial national reconciliation, economic development and political stability. In 2009 he was assassinated by renegade soldiers. The Guinea-Bissau armed forces were responsible for human rights violations that included arbitrary detention, arrest and even torture and murder during the country's civil war. Guinea-Bissau is one of the poorest countries in the world. Once praised as a role model for development in Africa, a vast proportion of the population is now struggling to survive. Hundreds of thousands live without access to potable water, sanitation and medical infrastructure, particularly in rural areas. At 47 years, life expectancy at birth is one of the lowest in the world. Major infectious diseases include diarrhoea, hepatitis A, typhoid fever, malaria and HIV.